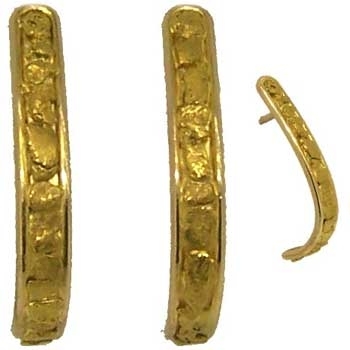 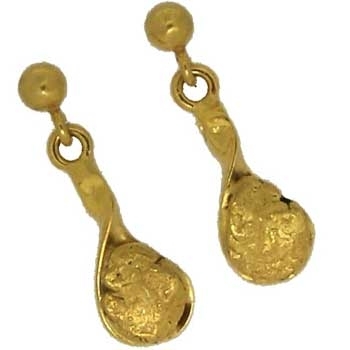 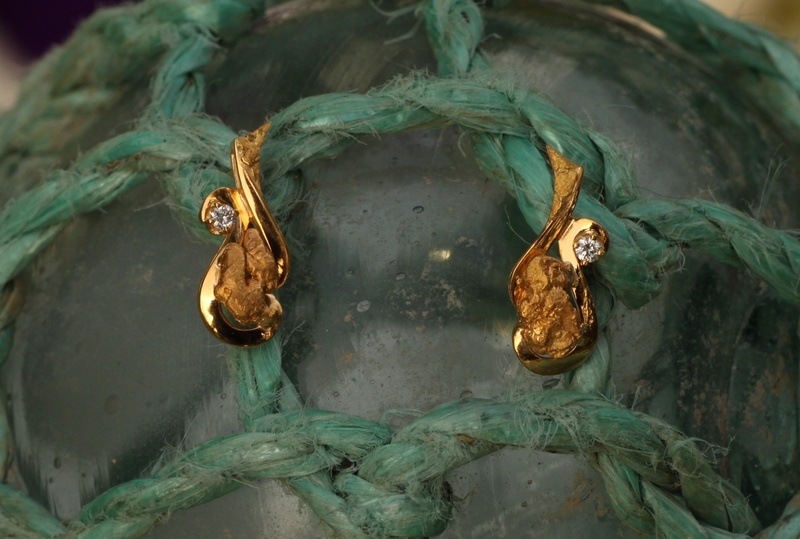 Several Alaskan Gold Nuggets in each dangling hoop illusion style earring of vibrant 14kt Yellow Gold. 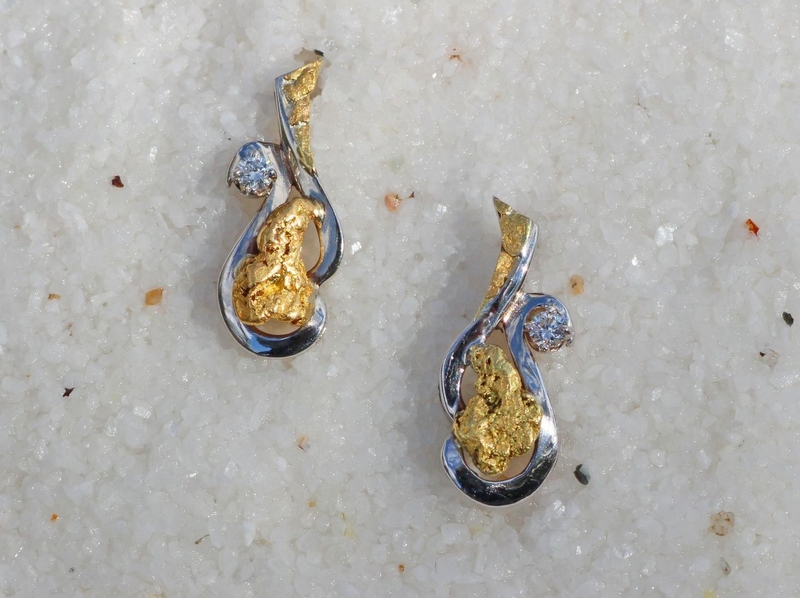 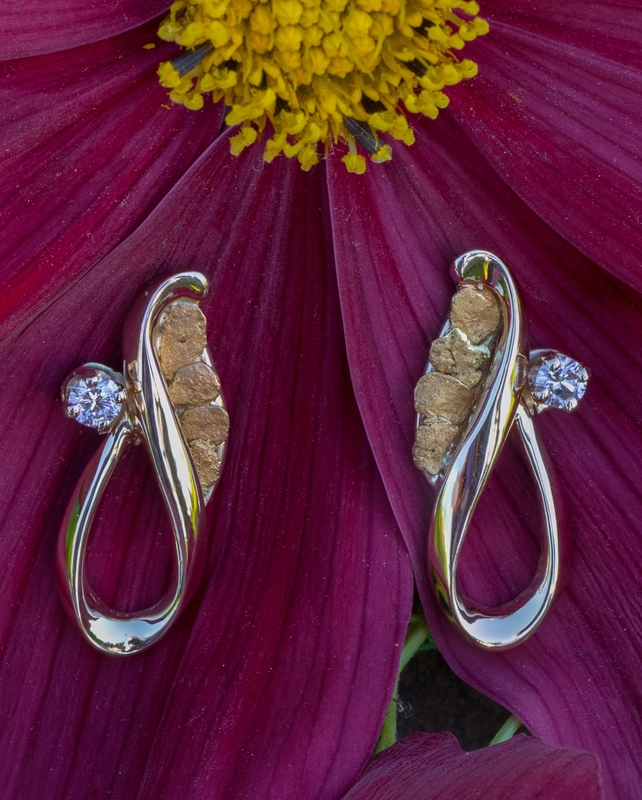 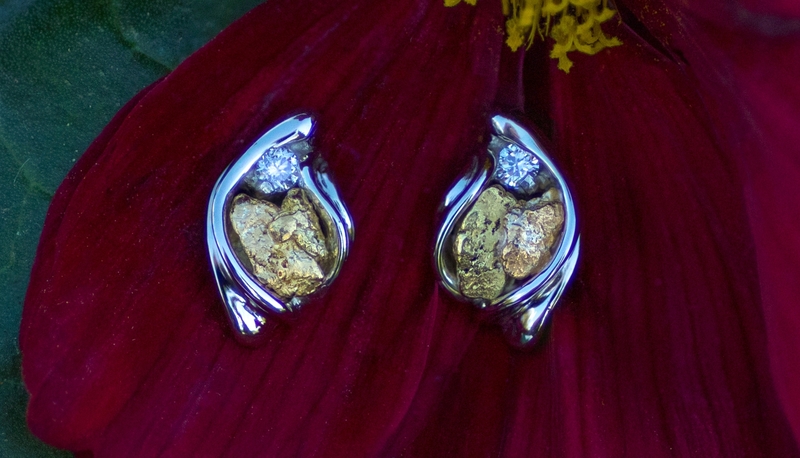 Spectacular display of an Alaskan Gold Nugget and brilliant Diamonds arranged in 14kt white gold earrings. 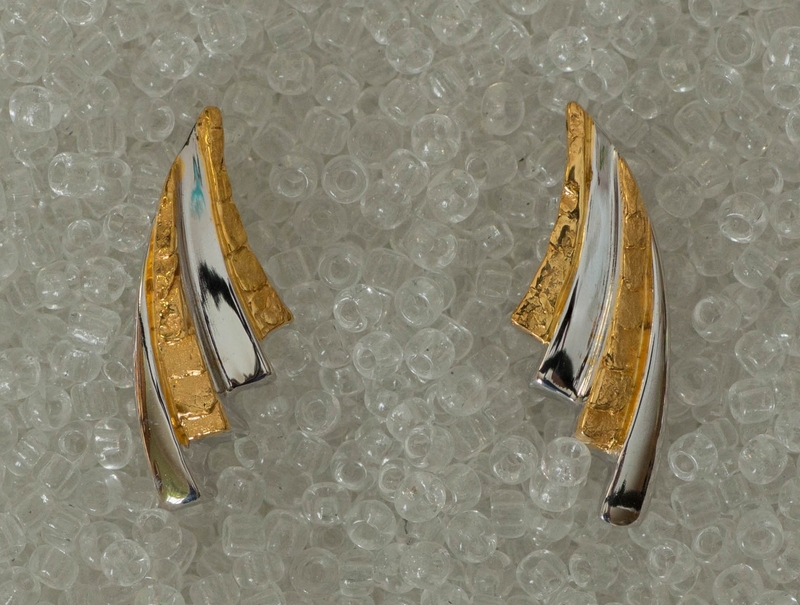 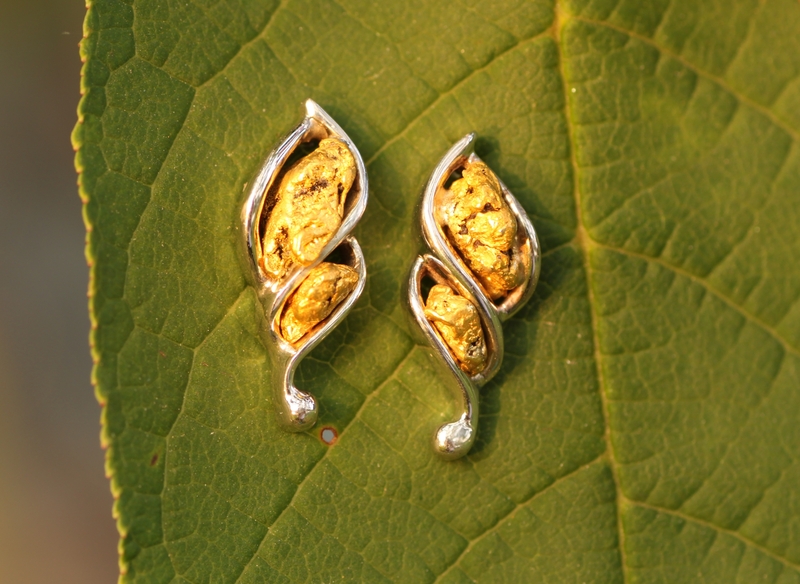 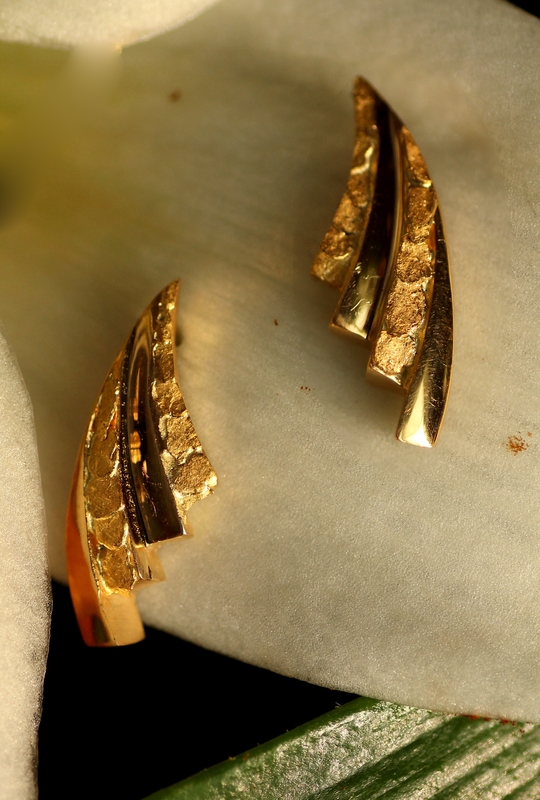 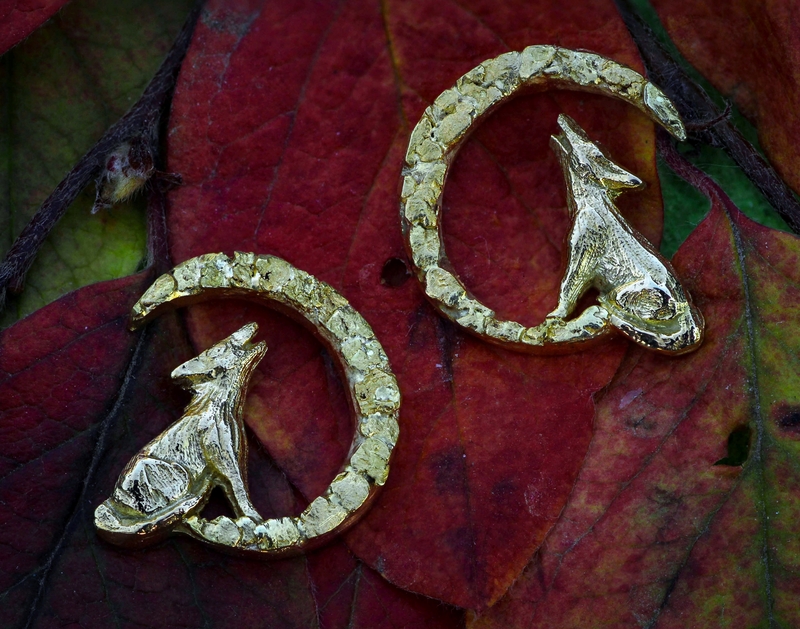 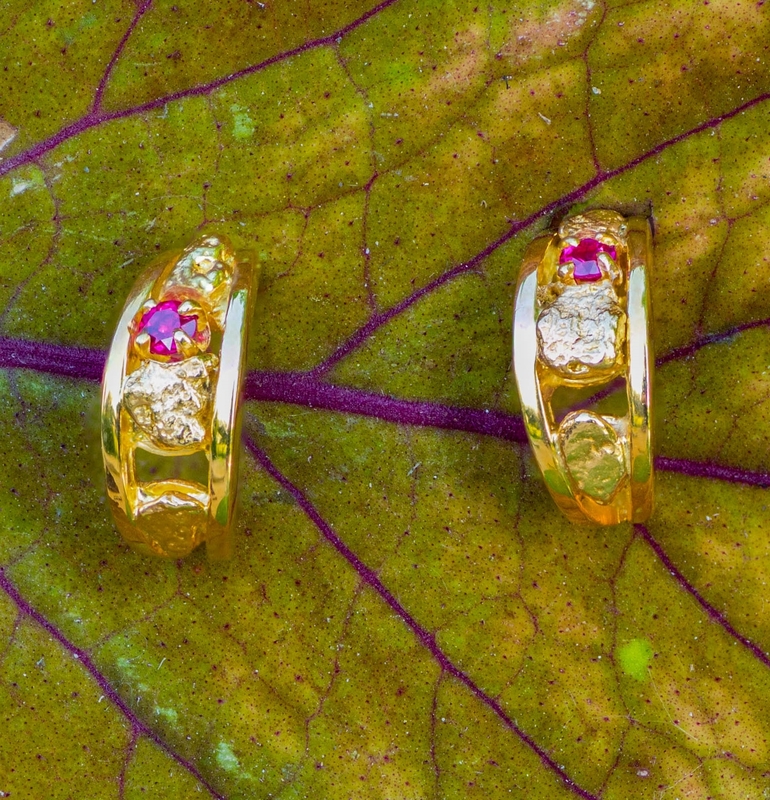 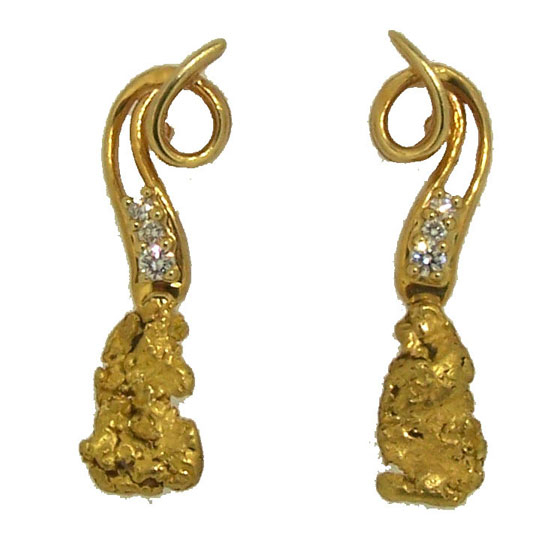 Impressive collection of gorgeous Alaskan Gold Nuggets poshly arranged in each hoop earring of vibrant 14kt Yellow Gold. 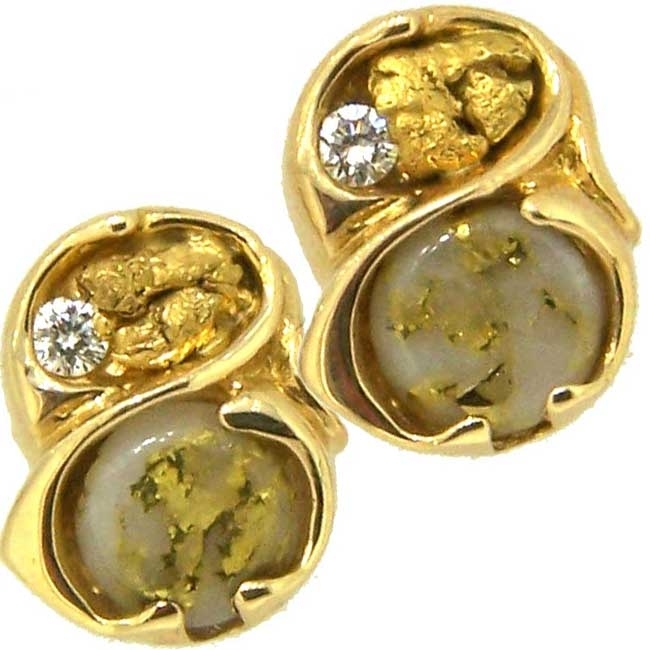 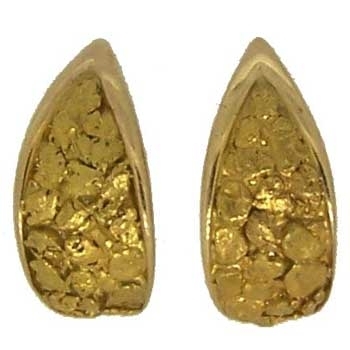 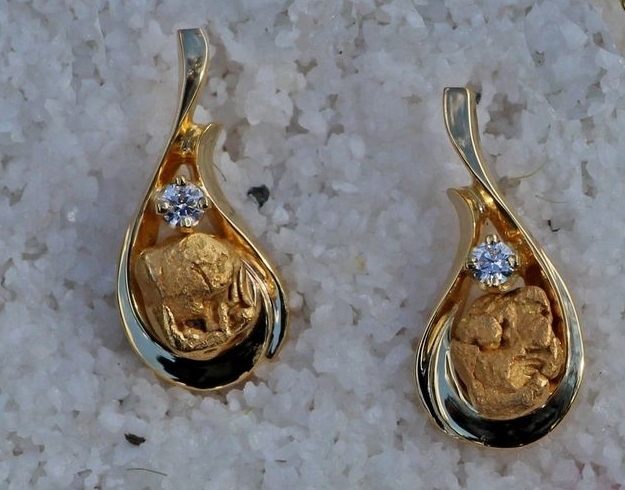 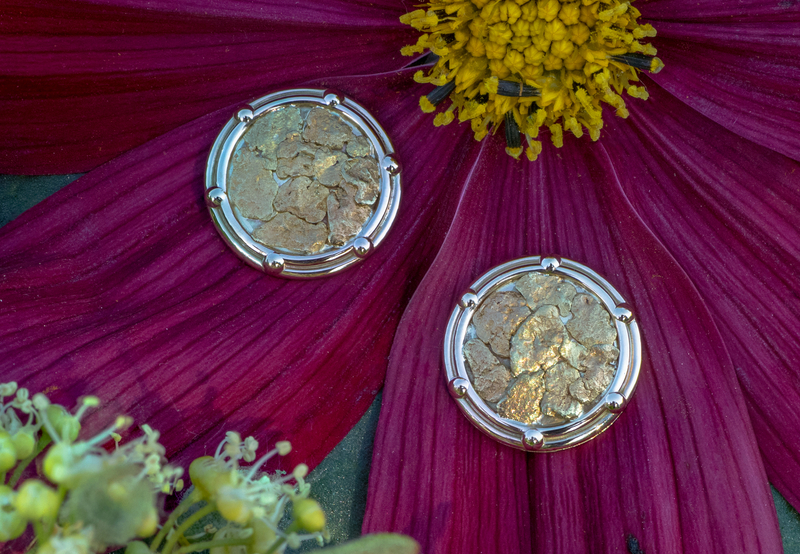 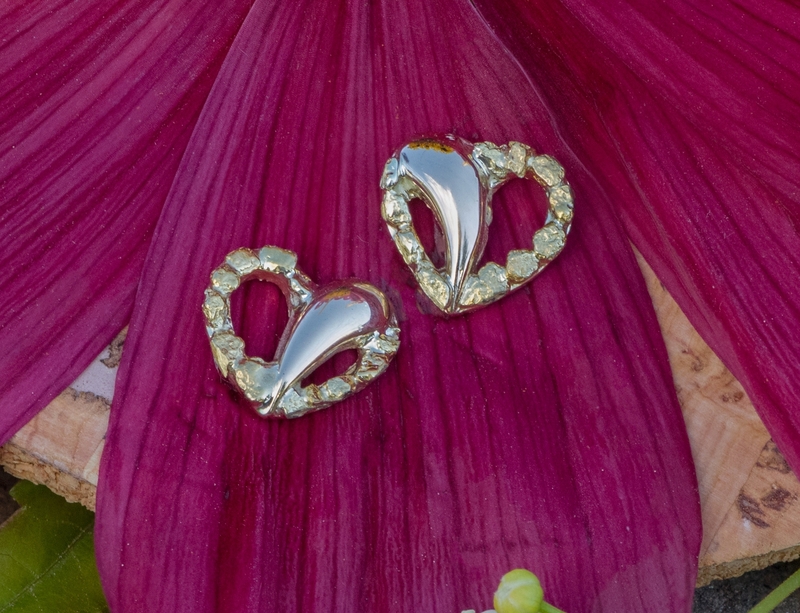 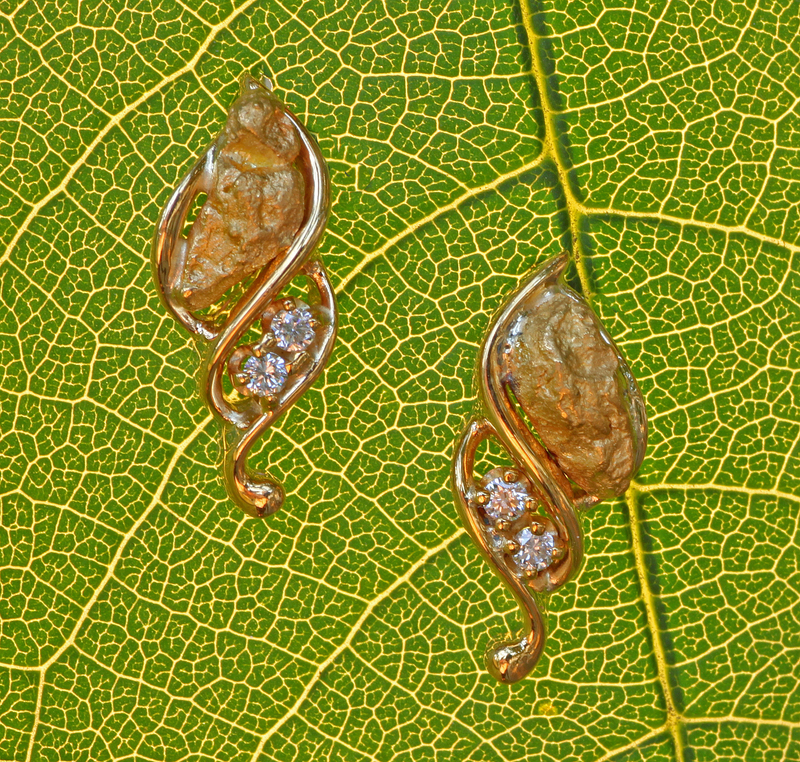 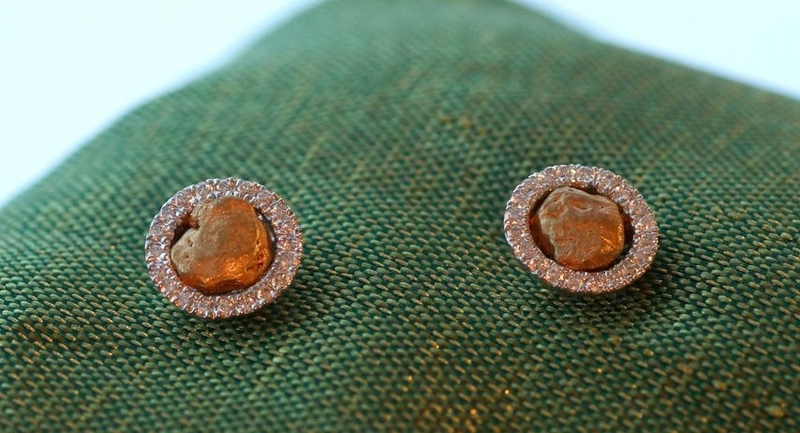 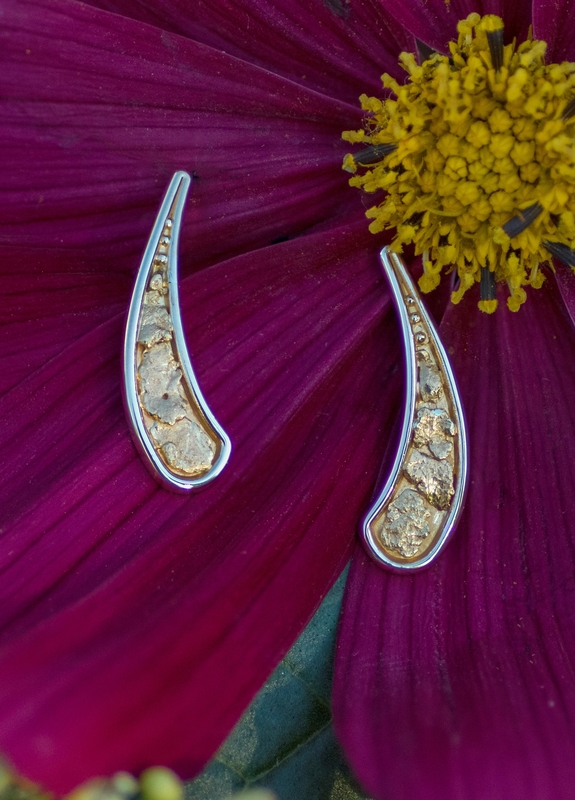 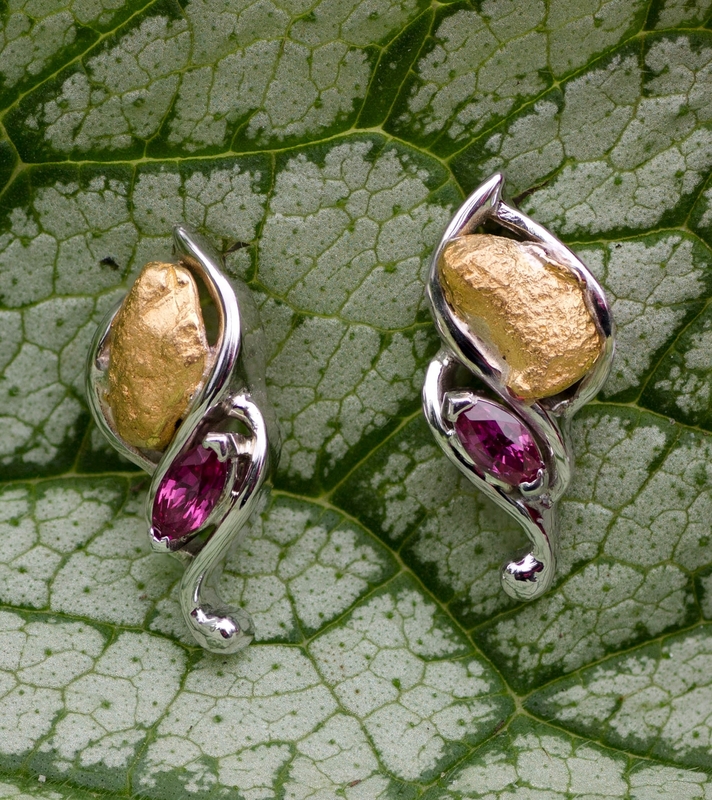 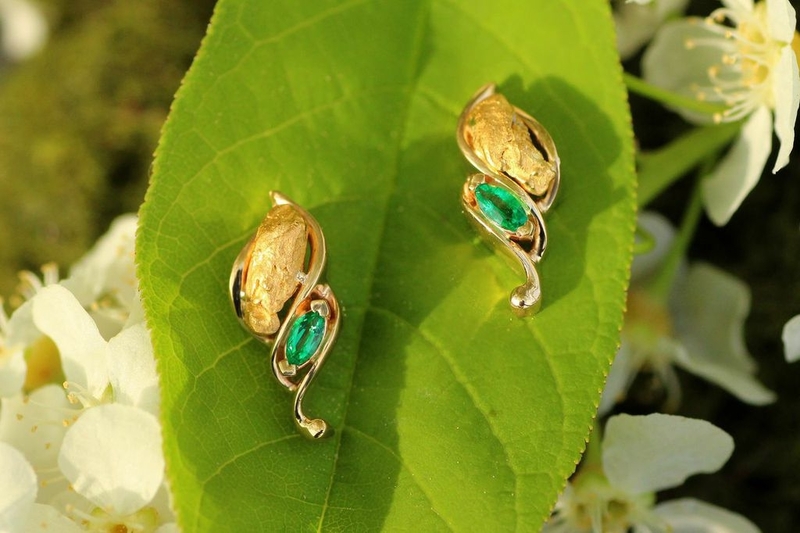 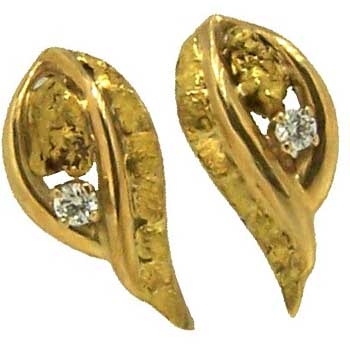 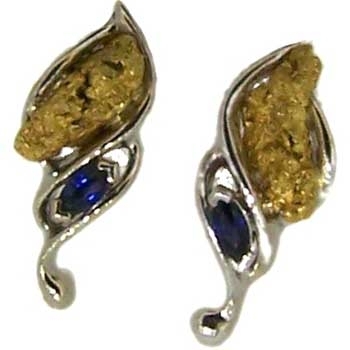 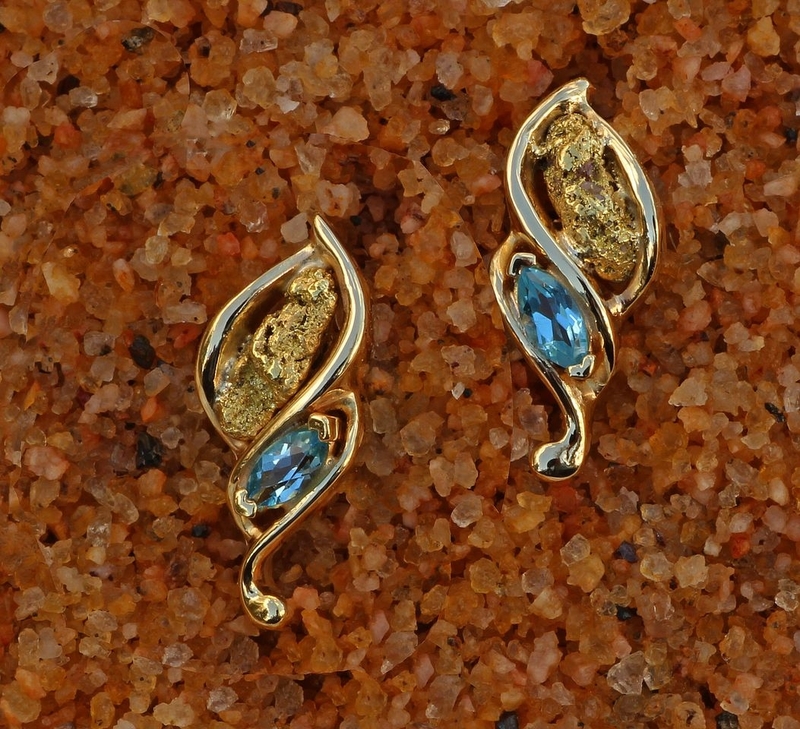 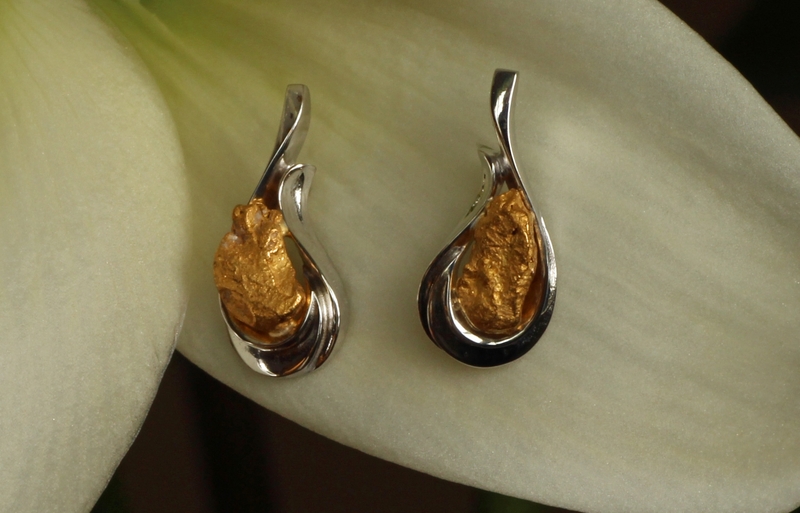 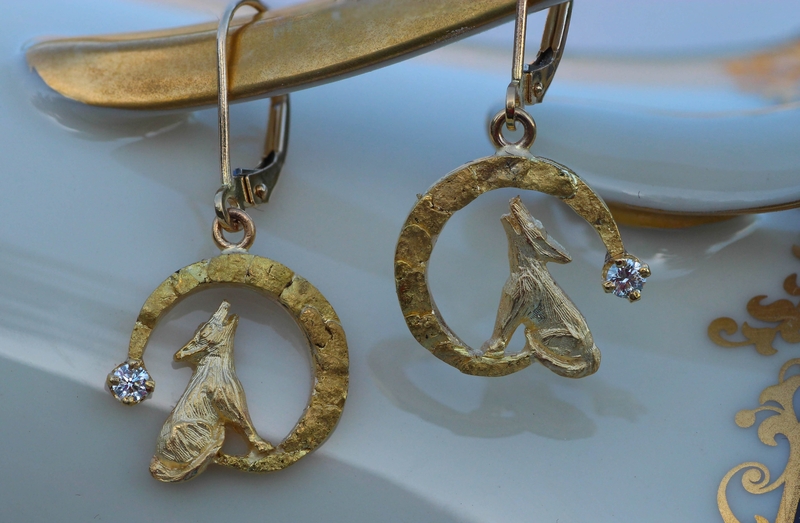 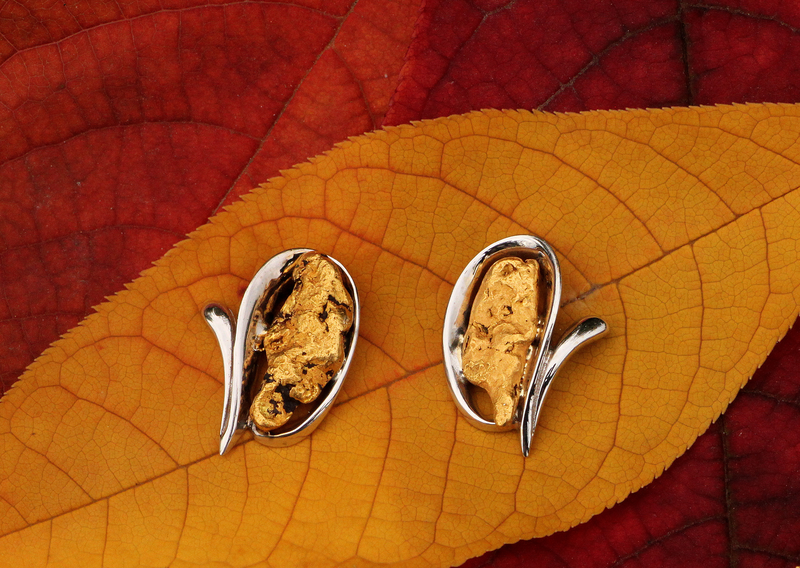 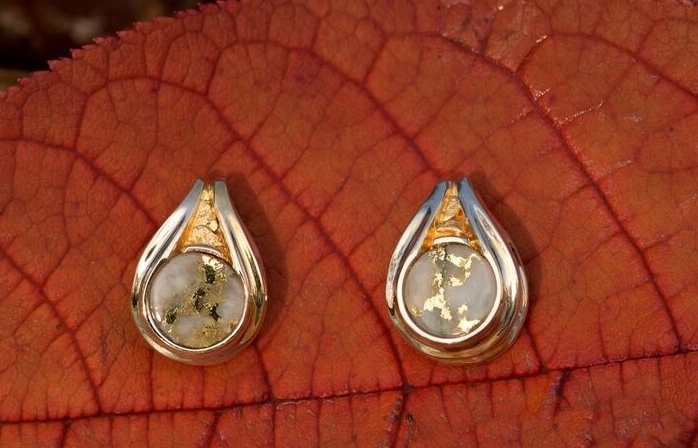 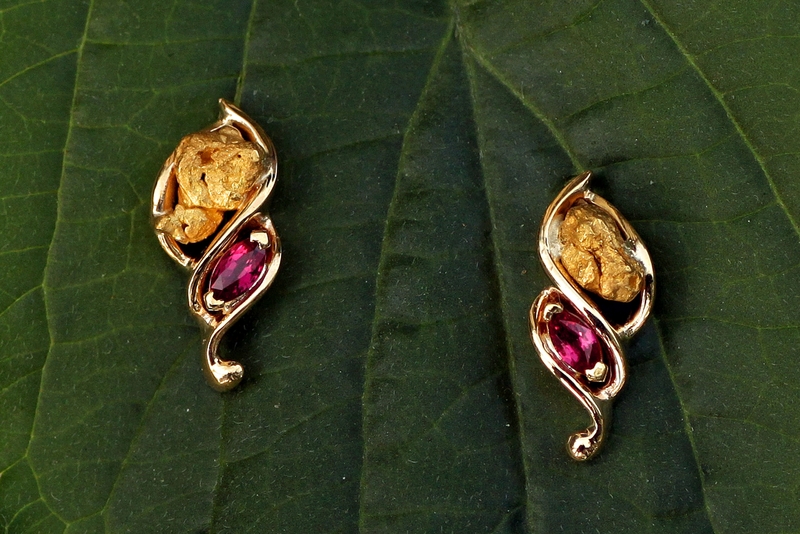 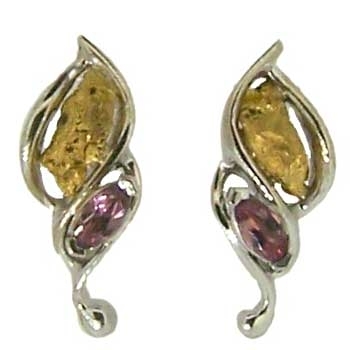 Exquisite design of Gold Quartz and an Alaskan Gold Nugget in each earring. 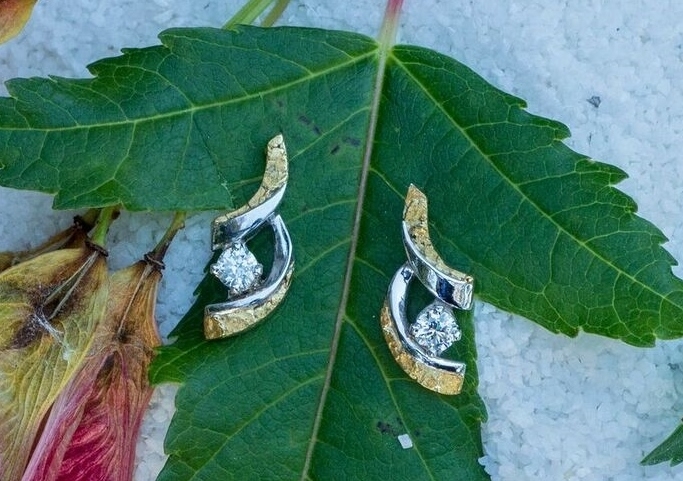 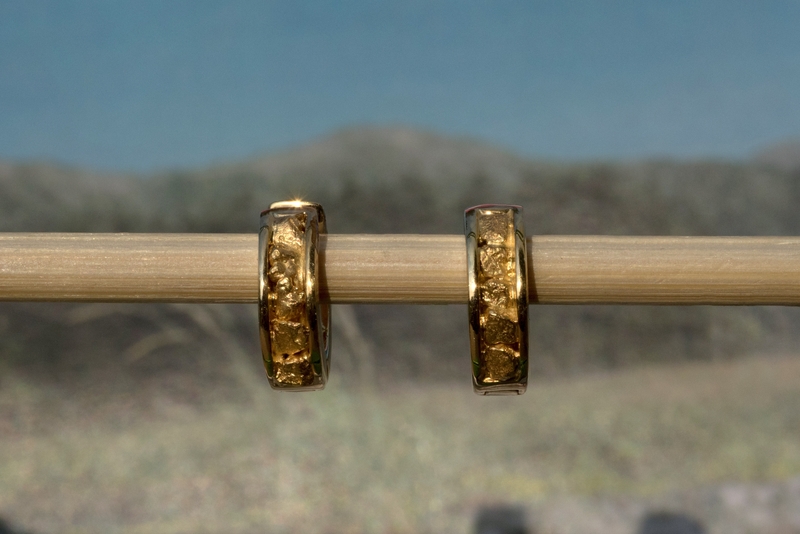 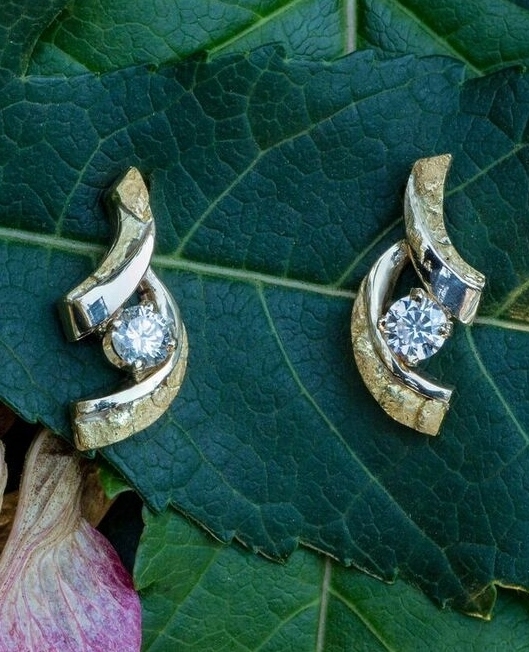 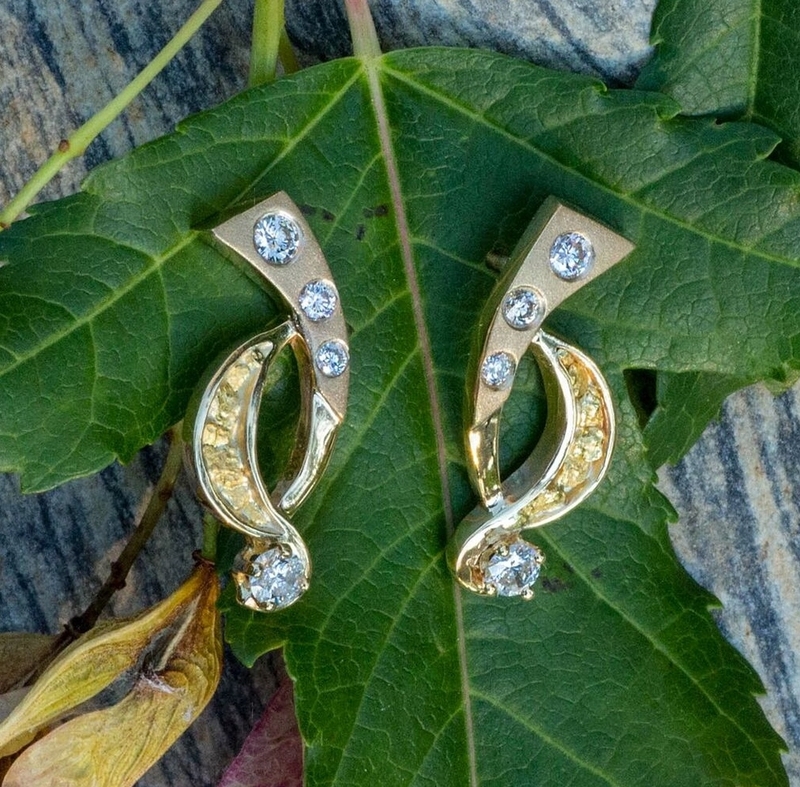 Brilliant Diamond nestled poshly next to several Alaskan Gold Nuggets in the upper twist with a natural Gold Quartz stone in the lower portion of each striking 14kt Gold twist earring. 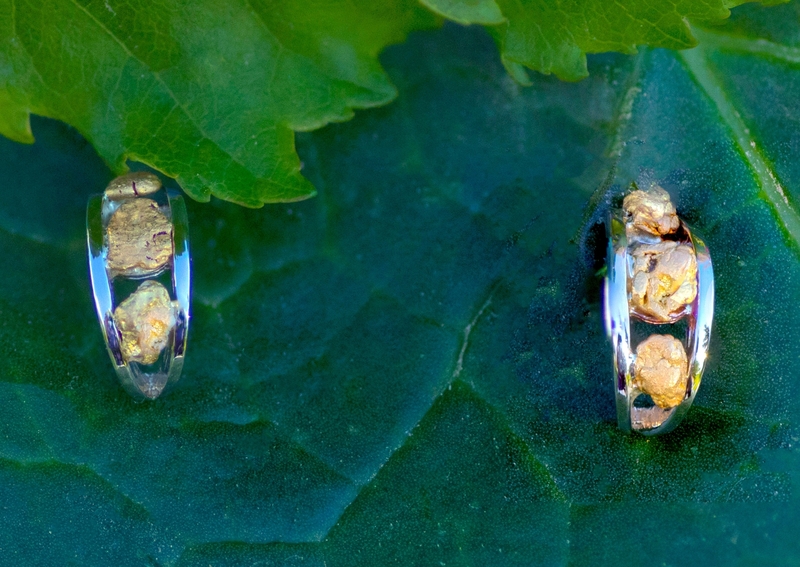 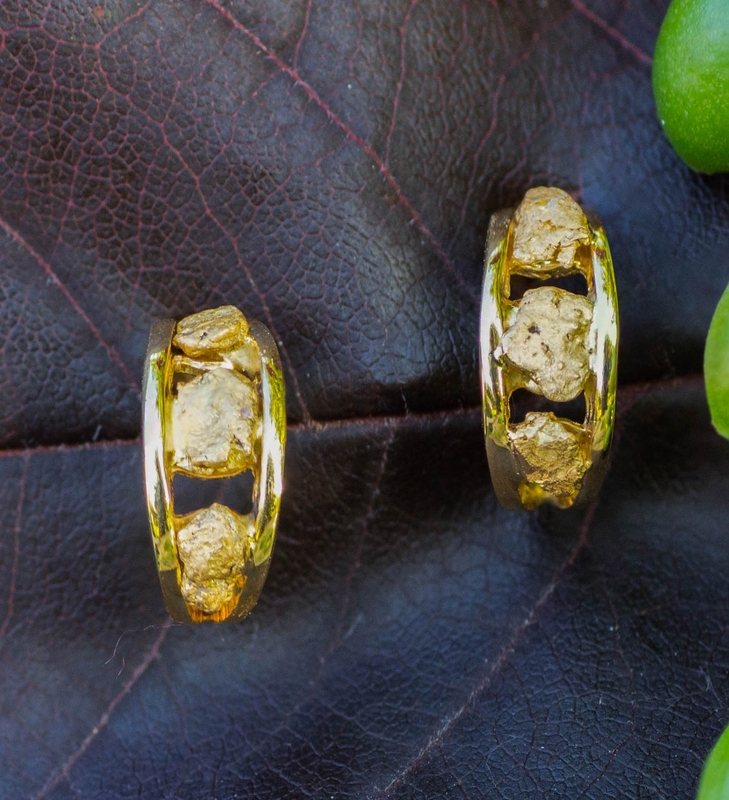 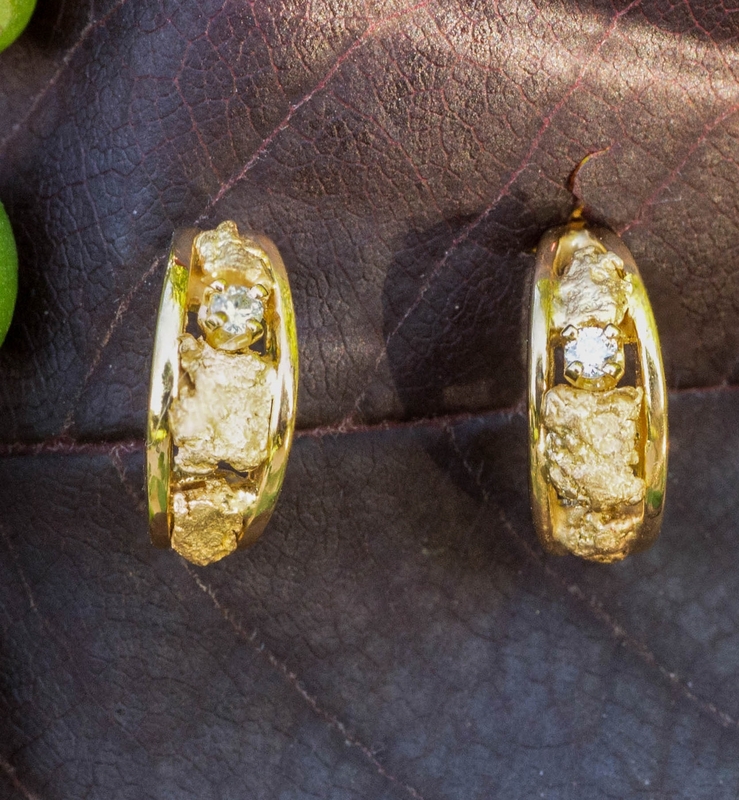 Striking display of an Alaskan Gold Nugget and a brilliant Diamond tucked inside a loop of Gold Nuggets to achieve that spectacular look of class. 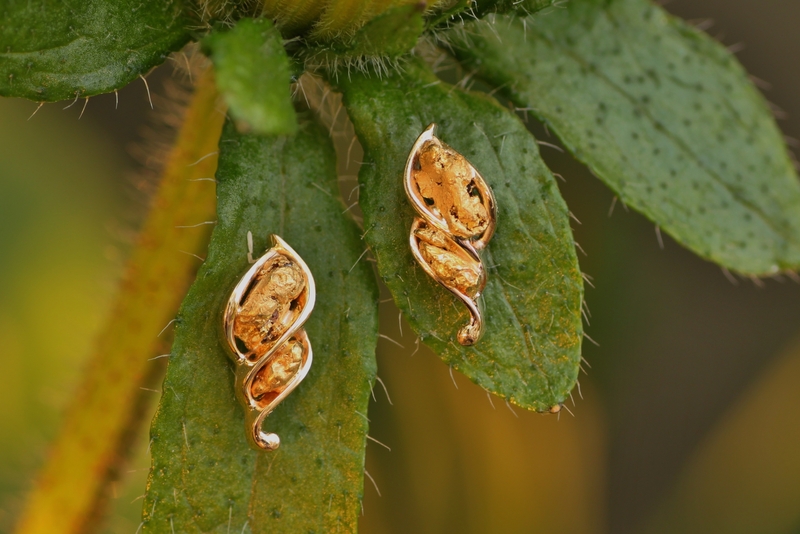 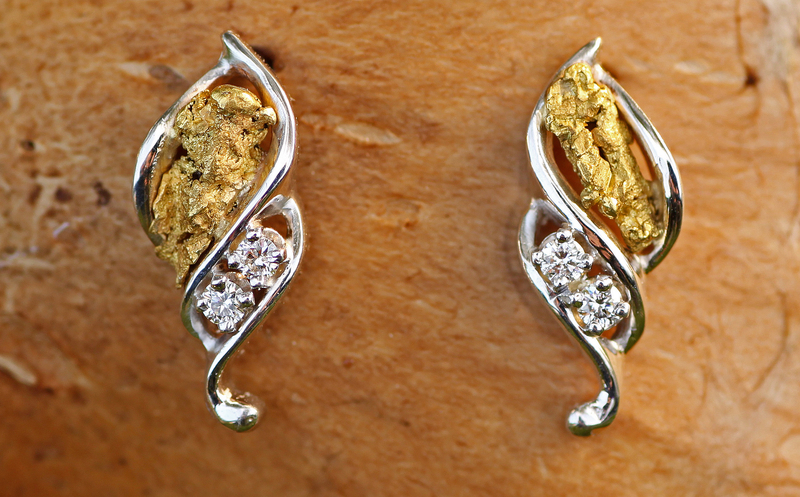 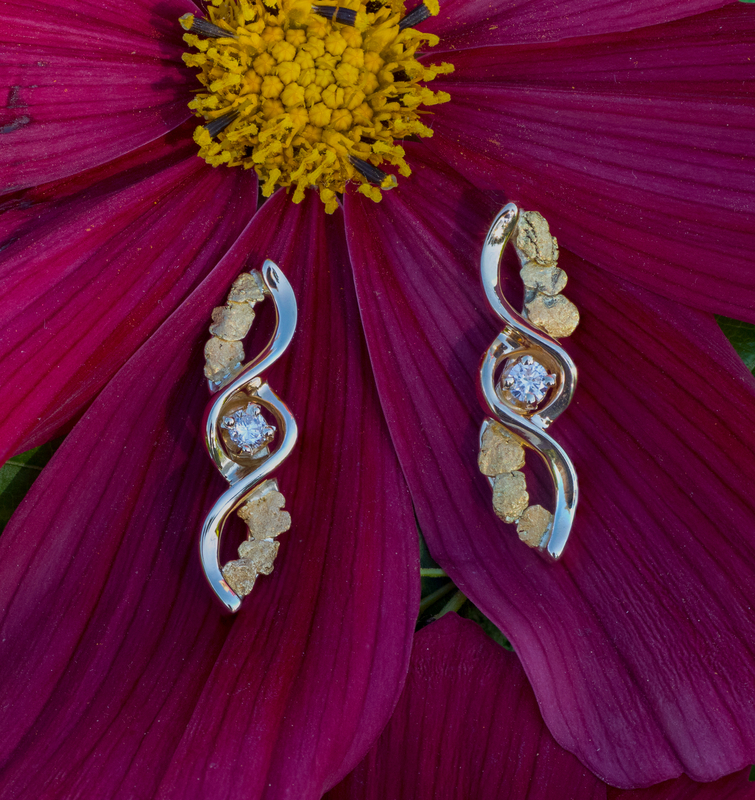 Striking display of 3 radiant diamonds and a dangling Alaskan Gold Nugget artistically arranged in each swirl top earring.